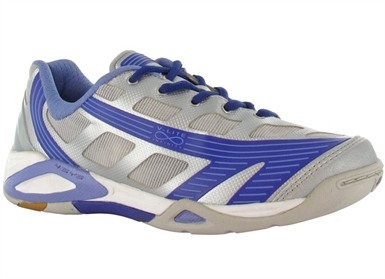 The new Hi-Tec Infinity Flare 4:Sys Indoor Court Shoe is a shoe at the very top of its game. Packed full of game changing technologies, the Infinity Flare is the result of 18 months of rigorous Research and Development. Through listening and learning from one of the world's best players, Nick Matthews, Hi-Tec has paid great attention to every minute detail during the development process. This shoe sets the standard for Indoor Court Shoes. The Infinity Flare 4:SYS Features: Seamless Upper for unrivalled instant comfort Impact Zone 4 SYS Midsole External TPU Heel Counter Bonded Nylon Support Frame Assymetrical lacing system Anatomical fit and support Forefoot ESS Inserts (aids lateral movement) Ortholite sock liner Abrazone forefoot reinforcement.